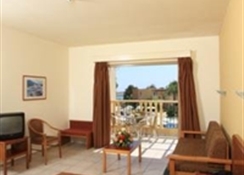 Occupying a convenient location to reach all you need to Ayia Napa, the Electra Holiday Village, brings guests comfortable and affordable rooms with Mediterranean flair and all the amenities for a relaxing stay. Located just 2 km from Larnaca International Airport and 1.5 km from downtown Ayia Napa, makes this the ideal place to stay on your visit here. The outdoor restaurant serves local and international food with a large selection of wines, in addition to on-site bars and a myriad of easily accessible restaurants and bars and grills. There are several beaches between 5 and 15 minutes walk from the hotel. Those needing a little retail therapy on their break will enjoy the plaza shopping centre whilst history buffs will want to check out Ayia Napa Monument and local museums. 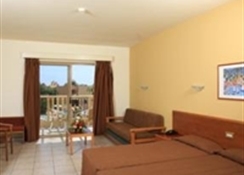 At just 2km from Larnaca International Airport, you’ll be in your hotel room in no time at all. Pernera and Katsarka Beaches are both under 10 minutes walk. The Plaza Shopping Center is a short walk, located just 550 meters from the hotel. You’ll also find yourself within a short distance of a number of great restaurants serving Chinese, Thai, Mexican, Italian and much more and the National History Museum of Ayia Napa is just under a mile away. 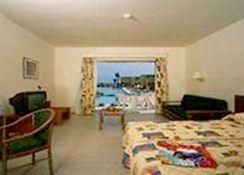 Rooms come in two flavours, studio and apartment. Both come with either a private balcony or a sun terrace as well as essentials such as tea and coffee facilities, air-conditioning/heating/ T.V., phone and much more. Studio rooms can sleep up to three guests with landscape and garden views available. One-bedroom apartments can sleep up to four guests with an additional sofa bed also available. Apartments are great for large families as they have a spacious living and dining areas as well as a kitchenette with kitchenware. Both room types are beautifully and tastefully designed in a contemporary and wonderfully clean style. 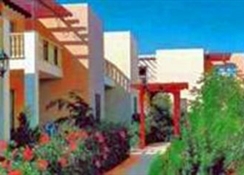 The Okeanos restaurant offers guests both local dishes and international cuisine. 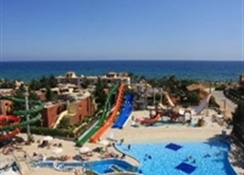 Heading out into Ayia Napa and you’ll hit upon a variety of great restaurants, discover the fun atmosphere of Tequila Mexican Garden or the Jungle Mania Restaurant which is bound to be a hit with the kids with its Amazon rainforest theme and a hearty selection of burgers, pasta and steaks. Plenty of bars and pubs abound if you fancy a late-night drink, from Carina’s Sports bar to the swordfish pub, you’re never far from something tasty, fun and memorable. You can easily kick back at Electra Holiday Village by relaxing at either of its indoor or outdoor swimming pools. For those who want to keep fit, you’ll enjoy having access to the gym or for a simple lazy day, head to the lush garden with a good book or just to sit amongst the lovely surroundings for a conversation. There’s also a tennis court as well as a leisure and TV Room. There’s also great fun to be had away from the Electra Holiday Village, for example, check out Nissi Watersports and try your hand at parasailing, jet skiing or the aqua twister to name but a few ways to enjoy the Mediterranean. A slice of Ayia Napa’s history can be taken in at the Ayia Napa Monastery a beautiful place to rest and relax in the surrounds of hundreds of years of history or learn more generally about Ayia Napa’s past at the National History Museum of Ayia Napa.